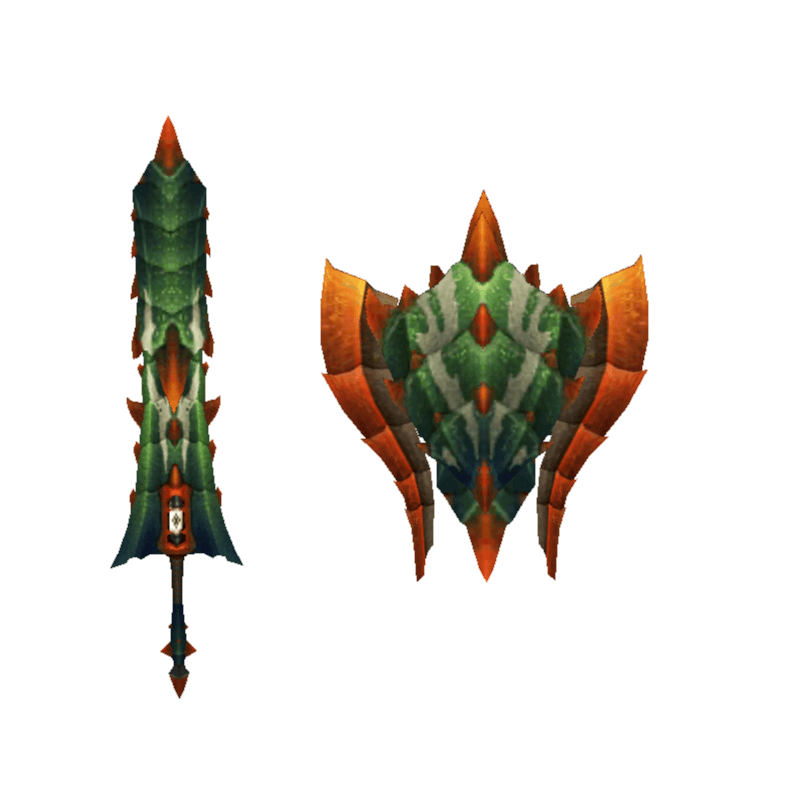 A Charge Blade that uses the rigidity of a shell for powerful offense and robust defense. / The Schildsect's final form. Its refined shell adds further strength and Sharpness.